Other than the residents of the 40-odd nations of the world who live under some form of monarchy (and putting aside the most ardent Windsor watchers), most of us don’t give much day to day thought to royalty. When we think about God, it is perhaps easier and less threatening to think about a baby in a manger, a loving shepherd or a charismatic healer who draws us into his embrace with a message of forgiveness and acceptance. These are all true and valid ways for us to imagine and experience God. But in addition to the immanent Lord who became one of us, God is also a transcendent deity whose grandeur and majesty command our attention and our reverence. He is the all-powerful creator, the Book of Job memorably tells us, who “laid the cornerstone of the earth/When the morning stars sang together, and all the sons of God shouted for joy.” He is the all-knowing watcher of creation, who (in Job again) “surveys the expanses of the earth.” And he is the immortal, invisible God, enthroned in grandeur, whom we approach on bended knee. 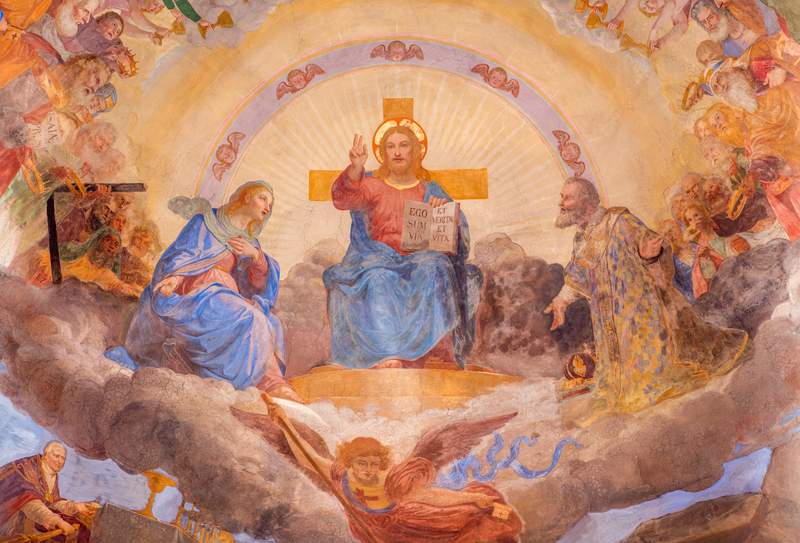 The psalmist, enmeshed in his ancient understanding of the natural universe and the structures of human society, conceived of God as a powerful, dominating king (an image that Christ the King would ultimately upend by the cross). Today’s verses encourage us to see God not just as one who walks among us, but also as one who surpasses our human understanding. We may experience God as a loving shepherd leading us beside still waters, or a remote and grand majesty enthroned in the heavens. But ultimately, it is he, not we, who is in charge. Omniscient, omnipotent, and praiseworthy Lord, majestic and simple, human and divine, may I exalt you forever. Amen. Elizabeth Kirkland Cahill is an author, lecturer and biblical scholar. She is the co-author, with Joseph Papp, of Shakespeare Alive!